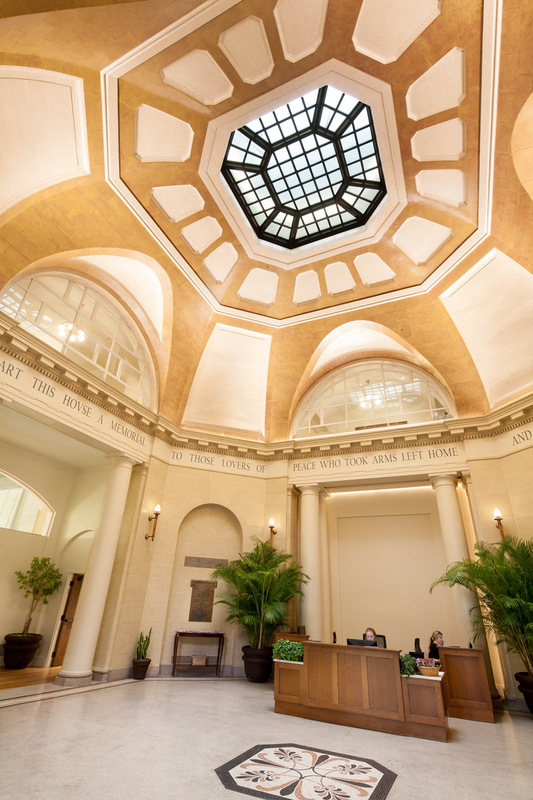 Designed by Ludlow and Peabody of New York in 1910, Memorial Hall’s central Rotunda and two Ballroom Wings were repurposed to create a new home for the Office of Student Affairs while acknowledging the original character and spatial proportions. 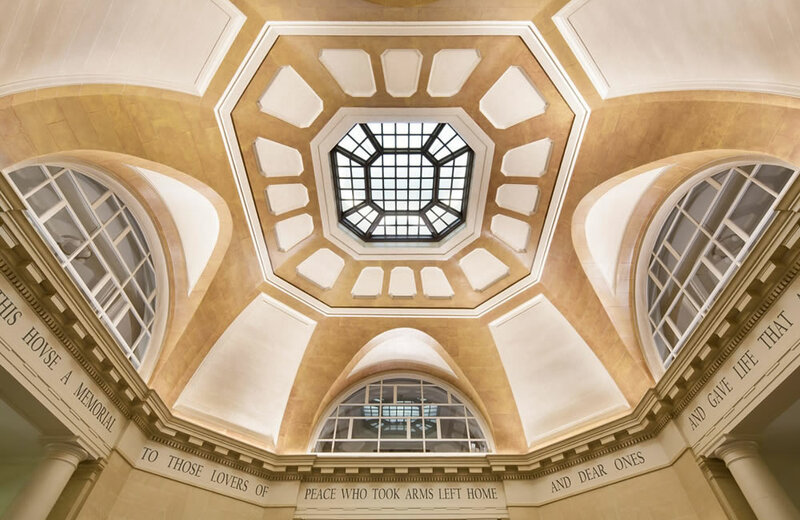 The Rotunda restoration included custom lighting throughout, specialty painting and glazing of intricate details, and restoring the oculus. 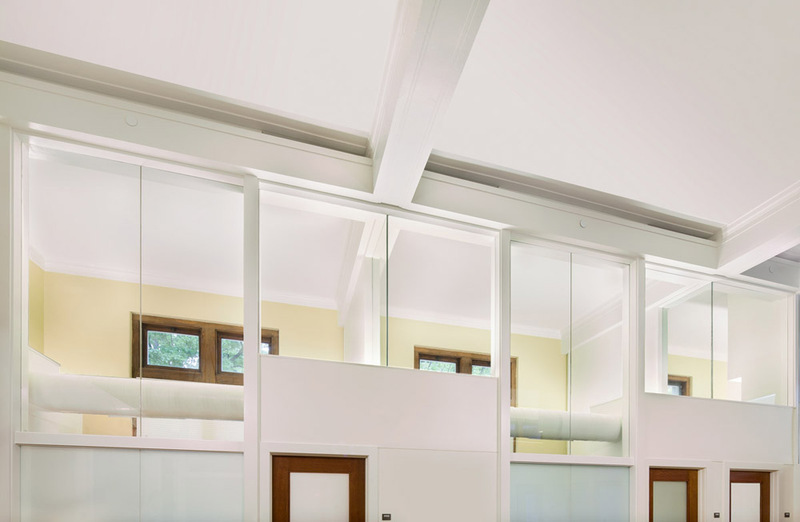 In contrast to the traditional architecture of the ballroom wings, white partitions with simple trim and exposed ductwork create a modernist intervention delicately inserted into the original volume. 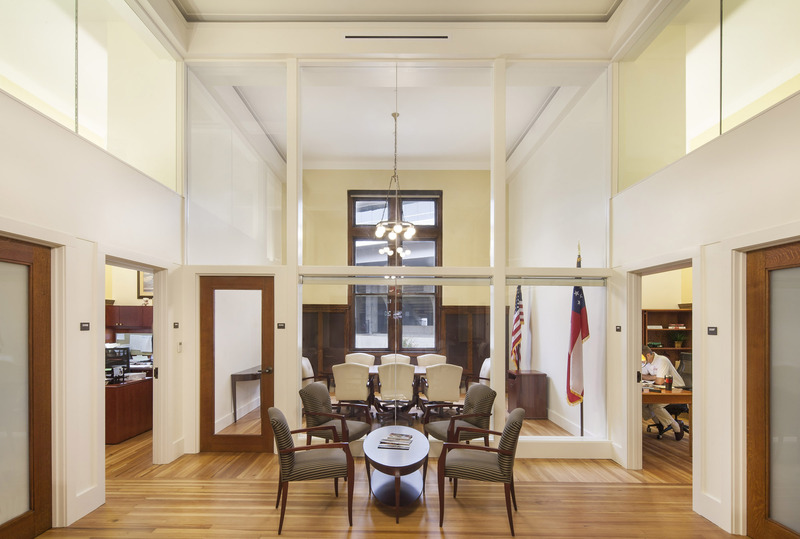 Office configurations were based on the existing wainscot panel modulation to create a controlled intersection of original and new construction. Interior glazing was aligned with original exterior fenestration including translucent panels for privacy. New beam expressions intersect and align with existing and accommodate return air paths, electrical conduit and fire protection system piping. The $4.1 million project also included the partial renovation of all 5 floors totaling over 12, 800 SF of programmed spaces for multiple administrative departments and student spaces. 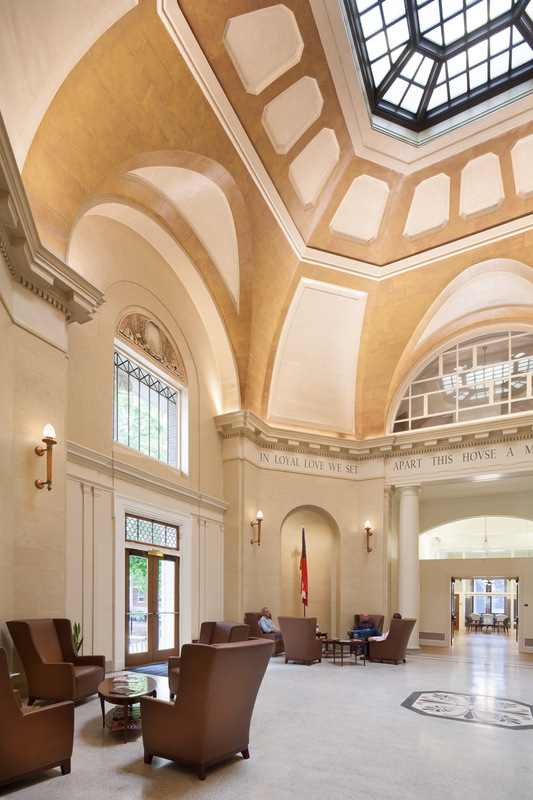 Memorial Hall was as technically complex of a renovation imaginable: An occupied building on a landlocked site, significant historic fabric, drastic change in use, fluctuating owner expectations, and complicated unforeseen conditions. Menefee Architecture provided the leadership and exceptional design service necessary to overcome all of these obstacles to bring the work in on budget and on time. Few firms could have been expected to perform at this level under these conditions, and Menefee Architecture excelled.